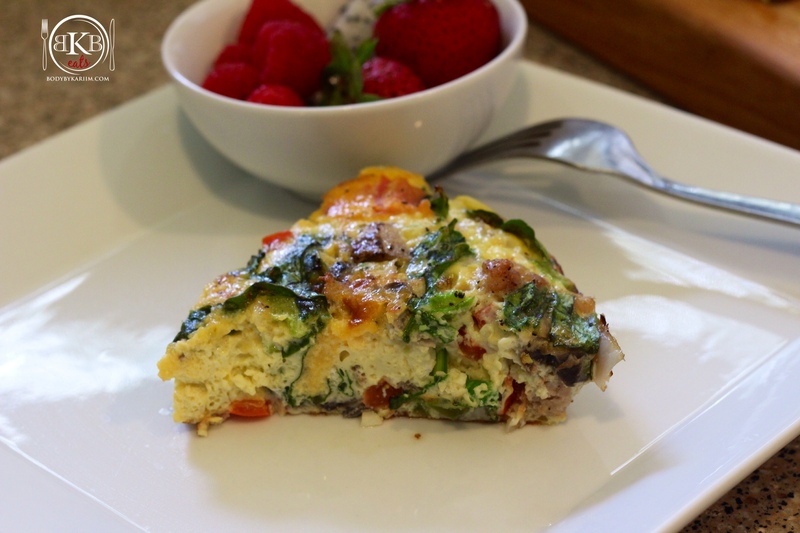 Jump-start the day with a vegetable-packed, protein-rich breakfast the whole family will love. 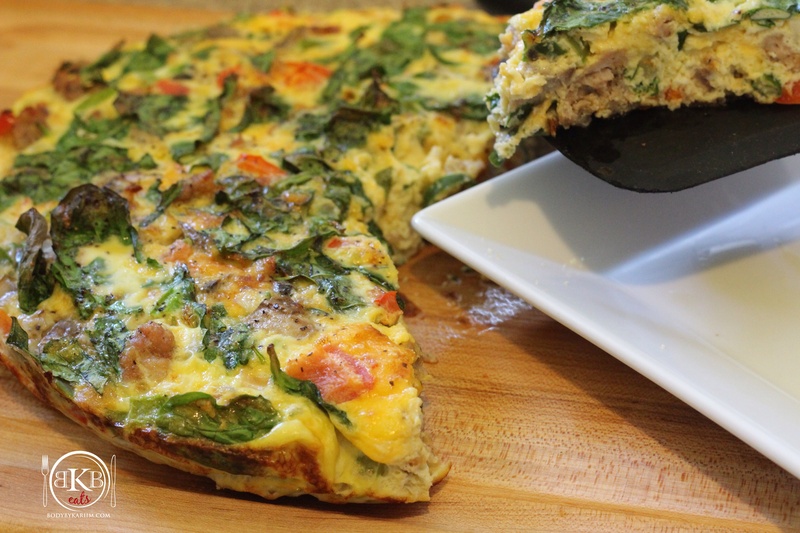 Why we love frittatas: They’re flexible! You can pretty much add what ever you want!! Frittatas can be eaten warm; room temperature, and make for great leftovers once all the flavors have had a chance to set in. Pre-heat oven for 400 degrees. In a pan, begin cooking chicken sausage. Cook until completely brown. Begin to finely chop all ingredients for frittata. Once chopped, sit aside. In a large bowl, whisk eggs until yolks are smooth. Then add milk. Whisk again until milk is blended with eggs. Line baking pan with parchment paper. Pour eggs onto pan. Begin adding all ingredients (chopped veggies & chicken sausage). Top with freshly grated cheddar cheese. Sprinkle fresh ground pepper on top. Let sit for 3 minutes before cutting. Cut into 6 or 8 wedges and serve. Great “make ahead” for the week. Mine is in the oven!